Premier League questions: Will Spurs end winless run at Liverpool? Will Huddersfield get relegated? The stats do not make for pretty reading if you are a Fulham supporter. They are winless in 13 games against Manchester City, having lost the last seven in a row, while City have won the past six Premier League meetings - scoring 19 times and conceding just three. Fulham have conceded at least twice in each of their last 11 Premier League games - a record in the competition - and that will have City striker Sergio Aguero licking his lips. The Argentine has scored four goals in his last four league starts against Fulham, while since the start of the 2011-12 season, no player has been involved in more Premier League goals against newly-promoted teams than Aguero (28 goals, six assists). Crucially, City know that only victory will take them top before leaders Liverpool welcome Spurs on Sunday. No player has scored more Premier League goals against Cardiff City than Eden Hazard, with Gerard Deulofeu and Luis Suarez also on five, and the Belgian will look to add to his tally as Chelsea resume their battle for a top-four spot. Chelsea have won seven of their last nine meetings with Cardiff in all competitions, last losing in 1986, but Sunday's hosts have proven difficult to beat at home this season - picking up 20 of their 28 points at the Cardiff City Stadium. Cardiff will be desperate for all three points in their fight for Premier League survival, but are up against it having lost their last 16 league matches against the 'big six'. Sunday's clash will prove pivotal in both the race for the Premier League title and the Champions League places. Liverpool could well have been replaced at the top by Manchester City come Sunday, while Manchester United and Chelsea will have had the chance to close the gap on third-placed Spurs before Sunday's 4.30pm kick-off at Anfield - with fellow top-four hopefuls Arsenal then hosting Newcastle on Monday Night Football. Not only are Spurs enduring a poor run in the league - winless in their last four games (D1 L3) - they have only won one of their last 24 Premier League games at Liverpool (in 2011), while they have tasted victory just once in their past 12 league meetings with the Reds (D4 L7). Meanwhile, Liverpool are unbeaten in their last 36 home league matches. If they avoid defeat on Sunday, it will be the joint-second longest unbeaten home run in the competition's history (Chelsea 86 from 2004 to 2008, Man City 37 from 2010 to 2012). As mentioned, with the top-four race hotting up, Arsenal will have had the chance to watch the weekend unfold before welcoming Newcastle to the Emirates on Monday Night Football. Arsenal are in the driving seat to finish in the top four, but by Monday they could be fifth if Manchester United beat Watford on Saturday (and even sixth if Chelsea beat Cardiff by eight goals on Sunday). Momentum will switch, and points will inevitably be dropped, and Unai Emery will know it is vital his Arsenal side stay on the right side of the top-four race, particularly with Ole Gunnar Solskjaer's appointment as Manchester United's permanent manager designed to give the club a final push with eight games to go. Arsenal have a solid recent record against Newcastle, having won the last six league meetings at home, and 11 of the last 12 overall. It's 15th hosts 16th at the Amex Stadium on Saturday, and victory would take Southampton level on 33 points with Brighton, who have one game in hand over the Saints and Cardiff, and two over 17th-placed Burnley. Brighton have won their last two league matches and know another will hand them some valuable breathing space, sucking the Saints into a three-way battle to avoid finishing 18th in the process. There is evidently little to separate Brighton and Southampton, with all three of their Premier League meetings to date ending in a draw. The Premier League's yo-yo team this season, Burnley steered clear of the relegation battle with an eight-game unbeaten run from December to February, only to lose their last four games and find themselves teetering two points above the drop zone once more. Burnley are winless in their last nine top-flight home matches against Wolves, and have lost all three of their Premier League meetings - what they would give to end that drought on Saturday. The dreaded 'R' could be placed next to Huddersfield's name in the Premier League on Saturday evening. 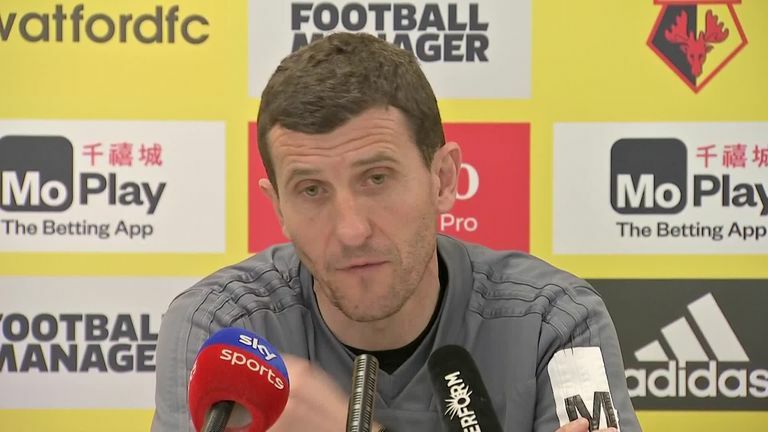 Relegation appears to be inevitable, but they will officially be down this weekend if they lose at Palace and Burnley and Southampton both win. All three matches are 3pm kick-offs, so we will know Huddersfield's fate by 5pm on Saturday, while Palace will be motivated by the fact victory would take them to 36 points and within touching distance of safety. 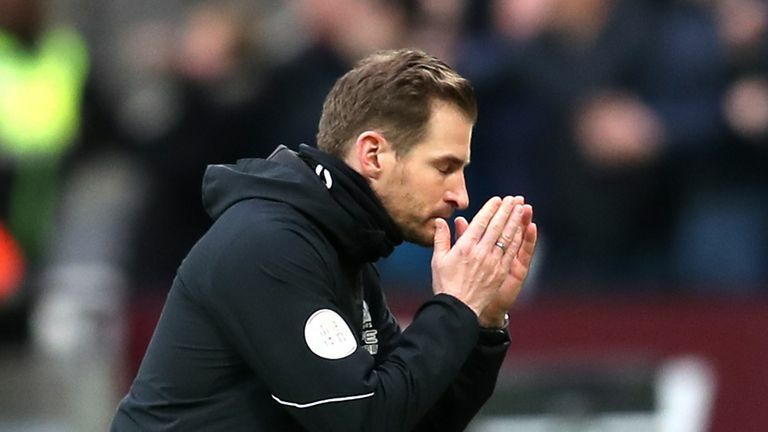 Should Huddersfield lose, then boss Jan Siewert would become the first permanent Premier League manager to lose his first five away matches in the competition, would you believe it, Solskjaer in 2013-14, when the Norwegian was Cardiff City manager. Perhaps one of the more surprising statistics going into this weekend - Leicester have not beaten Bournemouth in seven attempts in the Premier League (D5 L2). Even in Leicester's 2015-16 title winning campaign they drew 1-1 and 0-0 with Bournemouth, who were enjoying their first season in the Premier League at the time. Only one of those seven matches has produced more than two goals, but that was the most recent meeting when Bournemouth beat Leicester 4-2 back in September. The encounter will be the first since Ole Gunnar Solskjaer was appointed permanent manager on a three-year contract at the club. Having won 14 of his 19 matches in charge, United have been propelled back into the top-four race but will the Hornets spring a surprise on Solskjaer's permanent unveiling? A sensational season for the West Ham midfielder led to him earning his first England cap last week. With his performances reportedly attracting interest from a host of top clubs, season, establishing himself as a first-team regular under Manuel Pellegrini and earning his first England cap last week. The Hammers face an Everton side looking to build on their impressive 2-0 win against Chelsea just under two weeks again.